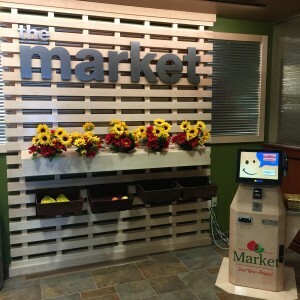 For more than 20 years, POET has defined the art of biorefining, and the art of taking care of their employees by recently developing ‘the market’ an on-site convenience store for their employees that offers healthy, nutritional meals and snacks. 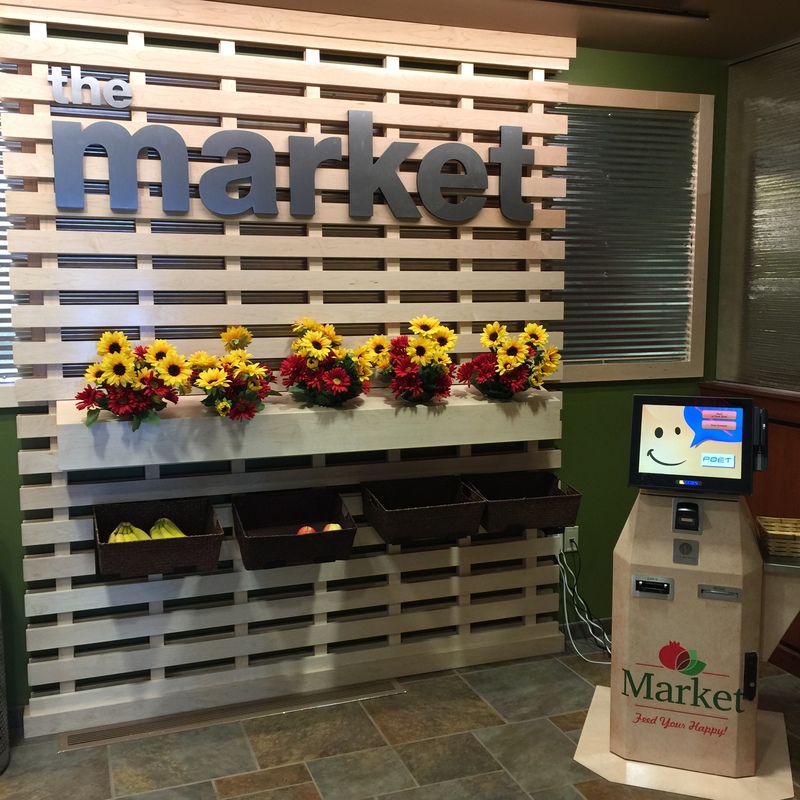 Creative Surfaces aided in the development of ‘the market’ for POET by producing the custom commercial millwork and interior graphics for this project. A unique slatwall of natural maple and three graphic panels of various sizes of plexi mounted to corrugated metal utilizing 1″ mockett stand-offs.